When I was a child I can fondly remember family trips to Coral Reef in Bracknell. 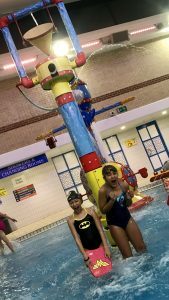 So when we were given the opportunity to attend a Zoggs event at Coral Reef Waterworld I jumped at the chance as I knew the children would love it. 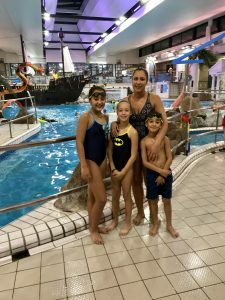 Zoggs UK put on this exciting event to celebrate the launch of their new DC range of children’s and adults swimwear. Which the kids loved when we went to Majorca in the summer and the girls donned their matching Wonder Woman swimsuits. 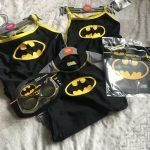 This visit though it was all about Batman and especially Jolie loved her attire. The first thing I noticed when I went to put Jolie’s swimming hat on was how thick and good quality the caps were. Much better than the ones we use for the kids weekly swimming lessons, it actually kept her hair dry! I am not a huge fan of getting into swimwear due to a few hang-ups on my weight. But I also don’t want the kids to hear me moaning about it, so I just popped on my costume and enjoyed the evening. I have to say that the fit of the adult costume was great, being quite tall I often struggle with the body length of swimsuits. Faryl is on the lean side so the drawstring on swim shorts meant that they didn’t constantly fall down. Zoggs have a massive range of swimwear and accessories for the whole family. Available from Zoggs.com and Everyone Active leisure centres. It was so tough to choose from the wide selection, but some of the kids loved the idea of matching. As I have previously said I used to love Coral Reef as a kid and could vividly remember the pirate ship. And was so happy to see it was still there. The kids loved climbing on board and shooting the water cannons. The water slides were amazing too, the kids loved the fact that they could choose the theme of each ride. Then light and music played throughout each slide, our family loved the disco theme. The swimming complex caters for the whole family with a fun brightly coloured shallow area. Which is perfect for the smaller children. Even though Jojo and Lex couldn’t resist a play there. 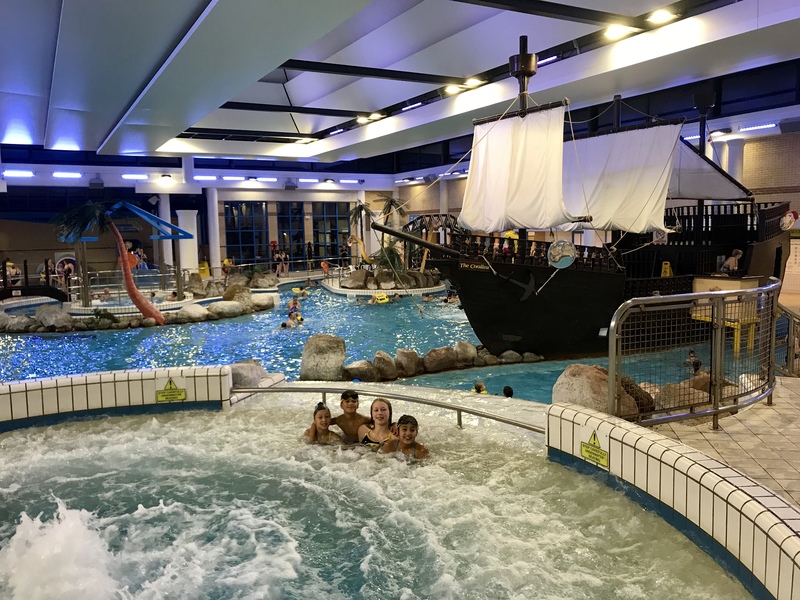 There are things for all the family, who doesn’t love a lazy river! The more accomplished swimmers can enjoy the water erupting from the erupting volcano. The pool was also so warm, we were in the centre for over an hour and a half and no one was shivering at any time. Coral Reef also has a spacious family changing rooms with lots of locker space. They were also very clean and tidy. The swimming complex also has a Spa area. With spa tickets, entry to the slides and pools are included. Disclaimer: We were invited to an influencers evening at Everyone Active Coral Reef Waterworld by Zoggs UK. Plus provided with Zoggs swimwear to wear at the event in return of an honest review. All words and pictures are my own.